Heated Seats, Blind Spot Monitor, Keyless Start, Cross-Traffic Alert, Lane Keeping Assist, Alloy Wheels, All Wheel Drive. EPA 48 MPG Hwy/52 MPG City! MIDNIGHT BLACK METALLIC exterior and HARVEST BEIGE interior, XLE trim AND MORE!KEY FEATURES INCLUDEAll Wheel Drive, Heated Driver Seat, Back-Up Camera, Hybrid, iPod/MP3 Input, Bluetooth, CD Player, Aluminum Wheels, Keyless Start, Blind Spot Monitor, Lane Keeping Assist, Cross-Traffic Alert, Heated Seats. Rear Spoiler, MP3 Player, Keyless Entry, Steering Wheel Controls, Child Safety Locks.OPTION PACKAGESADVANCED TECHNOLOGY PACKAGE Color Head-Up Display (HUD), speedometer, navigation (if equipped) and hybrid system indicator, Adaptive Front Lighting System (AFS), auto leveling headlamps, ALL-WEATHER FLOOR LINER PACKAGE All-Weather Floor Liners, Cargo Liner. Toyota XLE with MIDNIGHT BLACK METALLIC exterior and HARVEST BEIGE interior features a 4 Cylinder Engine with 121 HP at 5200 RPM*.EXPERTS ARE SAYINGEdmunds.com explains It provides high fuel economy (more than 50 mpg), a comfortable ride and a versatile cargo area. 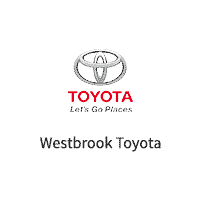 There's also the argument for peace of mind since Toyota certainly has a long history of making reliable hybrid vehicles.. Great Gas Mileage: 52 MPG City.MORE ABOUT USAll preowned vehicles are covered by the Lorensen Advantage, including extended warranties and free services. For more information go to www.lorensen.com/lorensen-advantage.Horsepower calculations based on trim engine configuration. Fuel economy calculations based on original manufacturer data for trim engine configuration. Please confirm the accuracy of the included equipment by calling us prior to purchase. Heated Seats, Blind Spot Monitor, Keyless Start, Cross-Traffic Alert, Lane Keeping Assist, Aluminum Wheels, All Wheel Drive. SUPERSONIC RED exterior and MOONSTONE interior, XLE trim. FUEL EFFICIENT 48 MPG Hwy/52 MPG City! CLICK ME!KEY FEATURES INCLUDEAll Wheel Drive, Heated Driver Seat, Back-Up Camera, Hybrid, iPod/MP3 Input, Bluetooth, CD Player, Aluminum Wheels, Keyless Start, Blind Spot Monitor, Lane Keeping Assist, Cross-Traffic Alert, Heated Seats. Rear Spoiler, MP3 Player, Keyless Entry, Steering Wheel Controls, Child Safety Locks.OPTION PACKAGESADVANCED TECHNOLOGY PACKAGE Color Head-Up Display (HUD), speedometer, navigation (if equipped) and hybrid system indicator, Adaptive Front Lighting System (AFS), auto leveling headlamps, ALL-WEATHER FLOOR LINER PACKAGE All-Weather Floor Liners, Cargo Liner. Toyota XLE with SUPERSONIC RED exterior and MOONSTONE interior features a 4 Cylinder Engine with 121 HP at 5200 RPM*.EXPERTS REPORTGreat Gas Mileage: 52 MPG City.OUR OFFERINGSAll preowned vehicles are covered by the Lorensen Advantage, including extended warranties and free services. For more information go to www.lorensen.com/lorensen-advantage.Horsepower calculations based on trim engine configuration. Fuel economy calculations based on original manufacturer data for trim engine configuration. Please confirm the accuracy of the included equipment by calling us prior to purchase.